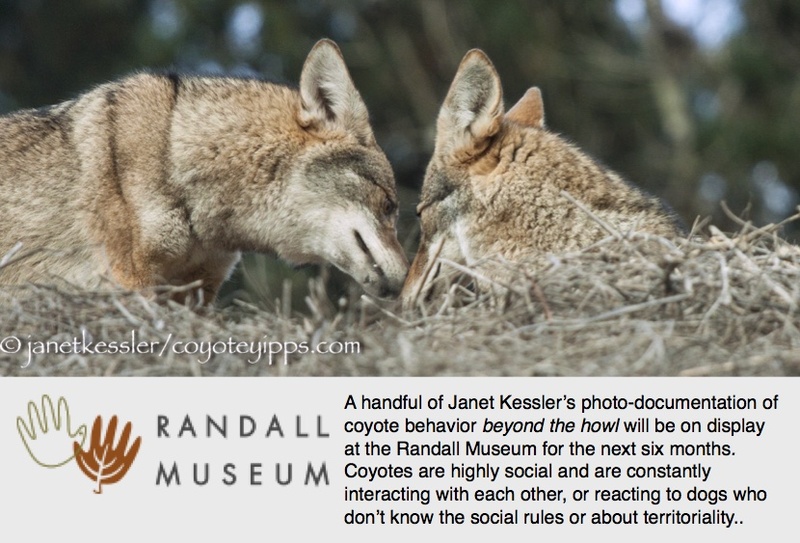 Starting in January, I noticed a marked change in coyote behavior regarding dogs: the coyotes seem to have lost interest in them. 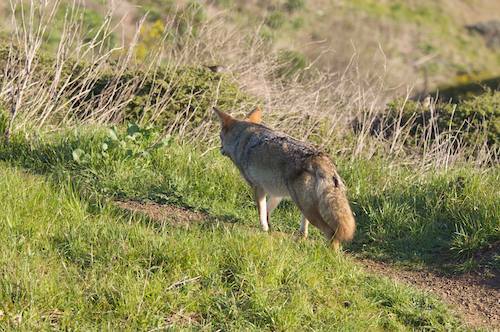 Coyotes no longer came out to sit on a hill to watch dogs as they used to so frequently. They don’t do it at all now. Hmmm. In the past, I frequently witnessed one or two coyotes walking purposefully towards lookouts where they went to keep tabs on what was going on, to simply enjoy the “dog show”. But today, the exact opposite occurred: a coyote was walking away from one of its lookout areas as dogs began coming into the park — seemingly to avoid the dog issue entirely. This is mating season, and it is dispersal time. Possibly these new activities have become all-absorbing ones.